Becoming a nurse may seem daunting when you have other things on your plate. 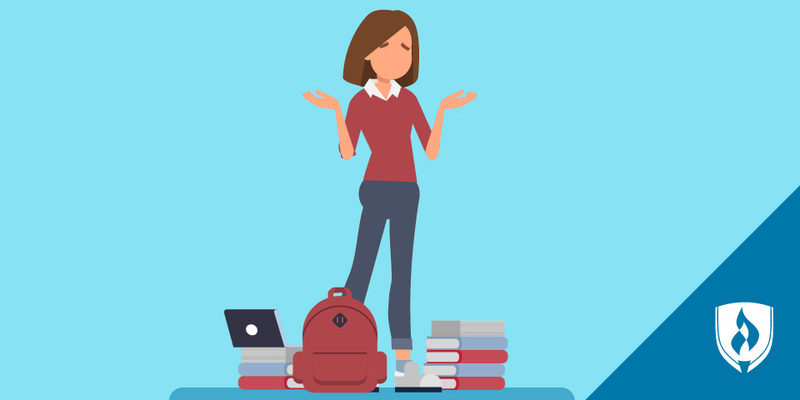 Between working, family commitments and the demand of general life events, going back to school can seem like yet another obstacle holding you back from where you want to be. Amidst so many important things demanding your time and attention, it can be difficult to commit to something you’re unsure of. 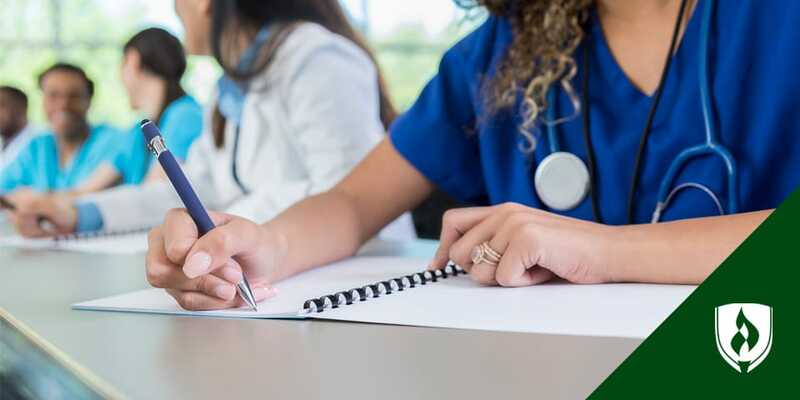 The amount of unknowns standing between you and your goal of working as a registered nurse (RN) can make it seem like nursing school is just some shadow that looms in the distance, like an ominous figure in the mist. While going to school for nursing is a big commitment, once you’ve learned the details and gathered the facts, it’s a choice that you can feel confident and sure about. We want to help make the process easier for you, ensuring that none of your coveted time goes wasted. 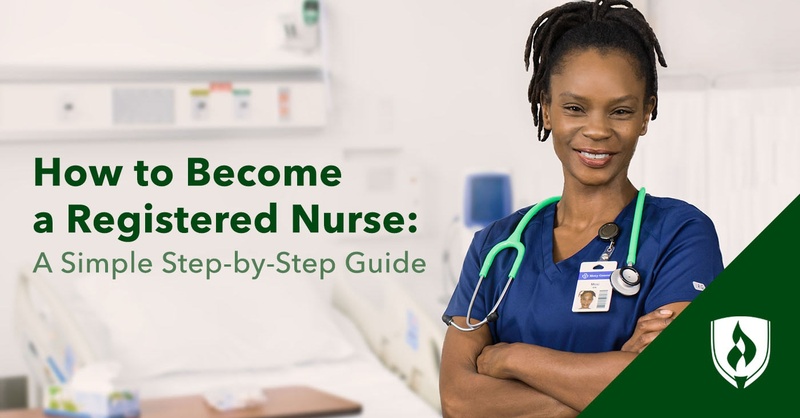 That’s why we compiled this guide to help you navigate each step of the process as you journey toward earning your degree faster and beginning the RN career you’re seeking. Aspiring nurses who are looking for an easy-to-follow breakdown of the steps needed to become an RN have come to the right place. Check out the video below for an overview of the four key things all nursing hopefuls can do to get one step closer to earning your scrubs. Before committing to a nursing school, you will want to think about your overall career goals. 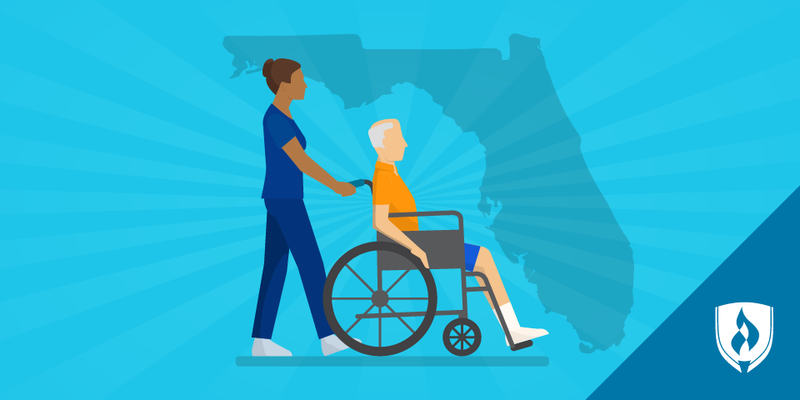 Since there are two major paths you can take to become an RN, you’ll need to decide what the best fit is for your schedule and long-term plans. However, while the short-term route may seem like an appealing option right now, if you are planning on working in a hospital, you may eventually have to go back to school to acquire a Bachelor’s of Science in Nursing (BSN) as a result of a mandate pushing for 80 percent of hospital nurses to have a BSN by 2020. The other option to become a registered nurse is to complete a four-year Bachelor’s degree program. RNs who hold the BSN credential are qualified for more jobs than nurses with ADNs, including jobs in research, consulting or administrative positions. In the end, both degrees can lead to a career as an RN — your decision simply depends on what’s best for you based on how much time you want to spend in school and what your personal career goals are. It’s important to remember that nursing is a profession with a wide range of opportunities, so you always have the option of going back to school to advance your career even more. After graduating high school, you’ll need to research different nursing programs and then complete an application — typically requiring you to round up some letters of recommendation, write the requisite essays and more. You’ll also need to take the TEAS test and prepare for your entrance interview. It may sound like a lot is required of you right from the get-go, but when you break each step down and tackle it one at a time, you’ll start to see your path toward nursing success take shape. The time and effort put into each phase of your process are important factors that can help you get into the school you’ve set your sights on. You will also be expected to complete a series of nursing clinicals to help gain hands-on experience and witness what it’s really like to work as an RN. Clinicals provide students with an opportunity to apply what they’ve learned in a real life healthcare setting, serving as a critical capstone to your education as you learn how to gain your footing in the world of nursing. Your main goal as you venture through nursing school is to focus on your studies. While the coursework may seem difficult as you’re in the trenches, you can press on knowing that graduating with a Nursing degree will be immensely rewarding and you’ll have your nursing school cohorts alongside you for support as you venture toward that end goal. Once you’ve come this far, you’re almost done on your journey to becoming a nurse. Things will start looking up as you cross the finish line you’ve been chasing after, degree in hand. The only thing separating you from a rewarding career as an RN once you’ve walked across that graduation stage is the NCLEX. The NCLEX (National Council Licensure Examination) is a required exam for any prospective nurse. With either an ADN or BSN, you would be qualified to sit for the NCLEX-RN. All nurses must pass the NCLEX to become a licensed registered nurse. 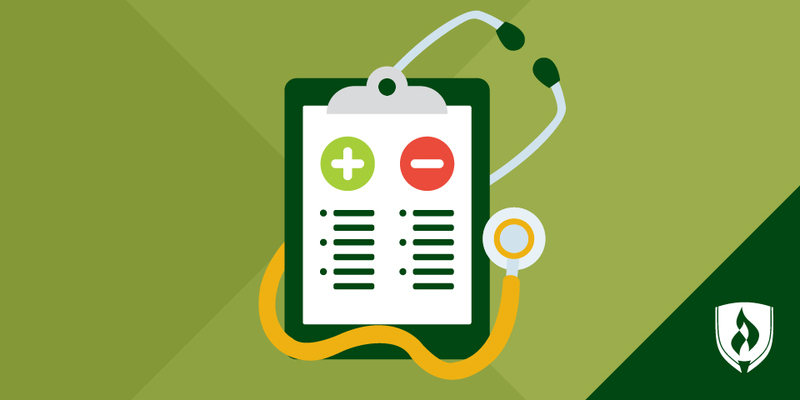 The NCLEX-RN contains 75-265 questions that test all areas of nursing, although critical thinking and memorization are key. Expect to spend some time preparing and prepping for this exam, as it’s one of the more important tests you’ll take. Don’t panic, though — you will learn everything you need to in your degree program. And once the NCLEX is behind you, you’ll be ready to find your first job as an RN! Which nursing path will you choose? Now that you know of the various steps you’ll need to take to become an RN, it’s time to decide how you’ll get there. Whether you’re hoping to get into your scrubs faster by earning an ADN or you’re ready to put in the extra time now to ensure some career advancement later with a BSN, time is of the essence. *Completion time depends on the number of transfer credits accepted and courses completed each term. EDITOR’S NOTE: This article was originally published in April 2015. It has since been updated to include information relevant to 2018.